NSW: Q&A Fibre optic upgrade to individual units. Who pays? You are here: Home / NBN / NBN NSW / NSW: Q&A Fibre optic upgrade to individual units. Who pays? A lot owner from NSW is wondering who pays for the fibre optic upgrade to individual units. Leanne Habib, Premium Strata provides the following response. Question: Where will the financial responsibility lie for the fibre optic upgrade to individual units, assuming a majority of the owners corporation want direct fibre to their home? Many owners in our strata are enthusiastically anticipating the arrival of the NBN this financial year, and their individual opportunity to update their communications infrastructure. We are led to believe that NBN Co will be providing Fibre to the Building (FTTB) to service our 10 townhouses. However, NBN Co has yet to confirm FTTB, leaving the less desirable Fibre to the Curb (FTTC) as a possibility. Regardless of what NBN delivers the final connection to each townhouse will be via our existing copper phone lines. The copper runs exclusively through common property. Our Strata Committee is keen to upgrade all copper phone lines so that all residents can take full advantage of the NBN’s increased data capacity, plus enjoy their increased property value when equipped with high-speed internet access. Our question is, where will financial responsibility lie for the fibre optic upgrade to individual units, (assuming a majority of the owners corporation want direct fibre to their home)? Answer: When it comes to the fibre optic upgrade, there is no hard and fast rule. There is no hard and fast rule, however, before considering costing, your building will need to consent to the NBN. Then, your building will decide how it will be financed. Clearly, economies of scale dictate that the individual access will be cheaper if organised and paid for by the Owners Corporation. Problems could arise where individual lots do not wish to subscribe to the NBN. You and/or your building will need legal advice to implement the NBN and create relevant by-laws. This post appears in Strata News #202. Q&A Elevator emergency phone requirements – What are the alternatives? 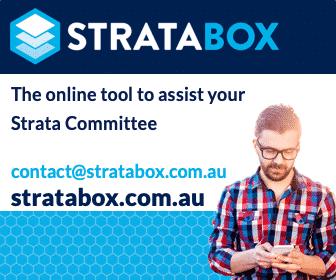 Looking for strata law specialists? Search within our Strata Services Directory in the category Legal Services NSW for the best list of contacts available. Visit our NBN in Multi-unit Developments OR NSW Strata Legislation. Leanne is making a fair point here and this time engaging with the core question posed at the outset. The key issue is whether or not the system is still ‘operating efficiently and effectively’ with copper cabling. If it is, then replacing the copper with fibre would be an enhancement and Leanne is correct. I would argue however, that the copper cable is not capable of carrying the incoming communications being received by the majority of owners ‘efficiently andf effectively’. Replacing it with fibre is the most economical way to maintain the level of functionality that the system is there to provide. We are both arguing different sides of a fine line. Ultimately only the courts can resolve this question, and I contend that the Thoo case is not particularly relevant to this. In the meantime the advice that we should be giving our clients, who simply want to be able to access the internet within their units, should be practical advice. If the OC is clear about its plan to replace the cable and budgets for the replacement – and the budget is approved – that is evidence of general acceptance by the majority. I very much doubt in that circumstance that an owner with a different view would make an application to NCAT to overturn the decision and prevent the replacement of the cabling. But they might. This possibility should be explained to the committee and to those owners present at the AGM that is being invited to approve the budget. And if an application IS made, NCAT just might agree with Leanne. Or not. And the case may be referred on appeal to higher courts. Eventually (and I expect this issue will one day be tested this way), there will be specific case law created and that will resolve the question. You could of course ask for a legal opinion as to whether or not this is maintenance or enhancement. While that would give further guidance, only a court ruling on this specific issue would be authoritative. We both agree that only a Court would be the authoritative view. While we agree too that we should all be giving practical advice, our view is that any practical advice should be given within the strict letter of the law and with the proper resolutions. Here in WA we are going through this process. NBN is going to the Building for some strata and to the Node for smaller (haven’t figured out exactly how they select but have a 21-lot scheme with FTTB, and a 13-lot scheme with FTTN. For the Building-connected scheme there was a query from a couple of owners about upgrading to fibre to replace the copper so all owners were canvassed to discover demand. The result – individual choice and cost. Why? – Because although the shared connection board was available in the building, not every apartment has an existing copper connection as it was not a standard fitting at the time the building was constructed. Personally, I think having the best option available is a benefit to each resident so providing the service as part of the building could be considered a strata company asset that can then be maintained, and upgraded over time similarly to intercom and security systems. Interestingly, Telstra charges $99 to provide a new copper line to an apartment without a connection… given the price of copper, would a fibre optic cable cost any more? I can imagine in a few years being able to teleconference into the AGM from the comfort of my home office – whoohoo! As another Strata Manager I must respectfully disagree with Leanne Habib. It IS a matter of knowing the answer. That is what we are here for. And as I read it, this is a pretty straightforward question that is not about the superiority or otherwise of Fibre to the Kerb over Fibre to the Building. The lot owner from NSW is simply asking who is responsible for paying to replace the OC’s existing copper cable infrastructure with the modern alternative, fibre cable. This is an OC responsibility. The existing infrastructure is no longer capable of providing the level of functionality that a reasonable owner reasonably expects. It is akin to replacing a cast iron stack or earthenware sewer pipes with PVC. You could replace like for like, but once they start to leak or get invaded by roots it is better and cheaper in the long run to replace them with the newer technology. (You wouldn’t expect each owner to pay for their own piece of that). The copper telephone wire is the communication hub for the building. When all communication coming into the building was by phone or fax, it did the job. But now that the communication coming into the building requires a more modern type of cable to carry it, the owners corporation needs to upgrade. It’s that simple. This does not need a lawyer and it does not need a by-law. Unless restrained by a resolution at a general meeting, and subject to the availability of funds, the committee can make the decision to replace all the copper cable in the building with fibre. If you want to be really sure, I suggest that you budget for the cable replacement in your next financial year to ensure that the budget has been approved by the Owners Corporation. In other words, if the copper cables are functioning adequately, installation of fibre cables would be outside the scope of ordinary repair and maintenance. Why would installing cabling etc. be any different from changing say a 5Watt light globe to a 7 Watt i.e. a spec. res. or adding balconies; those who opt out don’t pay; unit entitlements are revised to increase those for the balc. choosers to reflect the extra common property they now have. FTTC would actually be better than FTTB, as their exists an upgrade path for FTTP, and has lower operating costs for nbn. FTTN is much less desirable, and is the most problematic of the three. All three of these use the copper in the strata, owned usually by the BC (usually). This wiring was never installed for high speed data, so it frequently requires changes, such as the removal of second phone points, ADSL filters, Alarms. FTTB is FTTN with the fibre into your site’s MFD. FTTC uses a different technology to send the information on the fibre to a 4 port splitter, where it uses VDSL like the other two technologies. FTTP would require fibre cabling in the strata, not always paid for by nbn. ::Trying not to stray into politics. In this case I think Leanne used term from England where they call FTTN, FTTC. Here FTTC is sometimes called FTTDp (Kerb?) is a slightly better technology. FTTC uses a 4 port device and a corresponding modem to supply power. Both require fibre to the MFD. With FTTC, it is just the strata cabling that should need to be done to upgrade to FTTP, but there are currently no plans to offer this. Why is FTTC more undesirable in comparison to FTTB? It is not a question of “knowing the answer”. It is a question of what your building as an owners corporation elects to do and resolves in general meeting of the owners corporation, hence the response, “there is no hard and fast rule”. Your building will need to consider a building cabling plan and consult with the relevant experts including lawyers to prepare a by-law in relation thereto. Further, have you received a proposal? You will need a lawyer to review the proposed licences and/or any incentives. Further, the upgrades/enhancement will require special resolution of the owners corporation, which should be drafted by a lawyer. Ongoing maintenance of installations will also need to be determined via a by-law. Financing is something that the owners corporation can determine eg fund all installations to all individual units, fund infrastructure only, this will also determine the way forward as a by law may not be necessary if the owners corporation carry out the works.